I designed this necklace while sitting next to a sparkling river in the mountains of NH while on vacation last summer. The necklace is crocheted with an Egyptian cotton crochet thread, size 10. 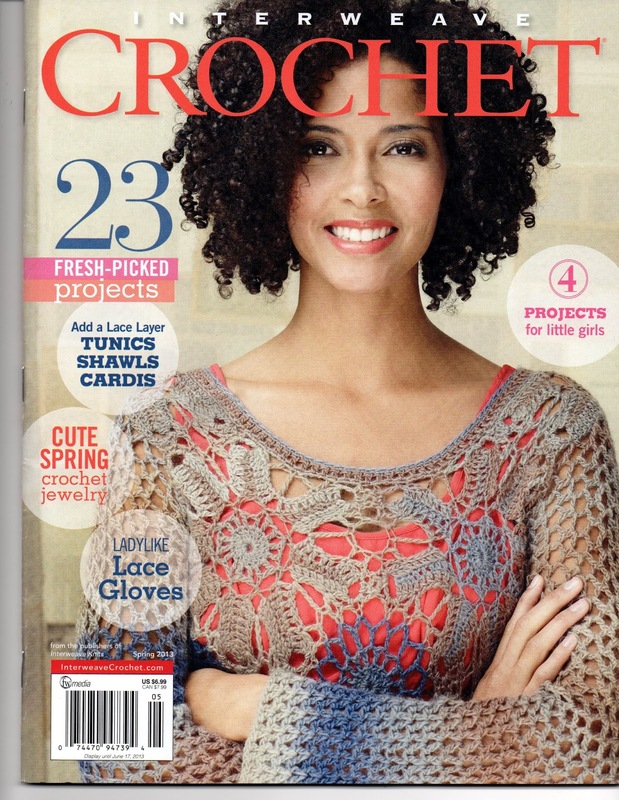 There are many beautiful designs in this issue of Interweave and I am honored to be published in the same magazine as so many talented designers. Please see the page to the left called, “Celtic Necklace – Tips and Photos” if you need some help weaving the Celtic Knot pendant.